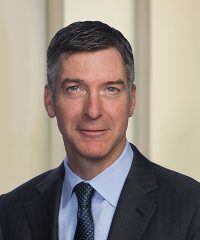 William J. Kennedy Jr., CFA, Managing Partner, joined Falcon at its inception. Mr. Kennedy was previously with John Hancock Life Insurance Company, where he held the positions of Managing Director and Corporate Secretary of Hancock Mezzanine Investments, LLC. He received a B.S. in Business Management from Susquehanna University and is a CFA® charterholder. Hobbies, Interests – Mountain biking, soccer.